In a report obtained on Sunday by AppleInsider, well-regarded analyst Ming-Chi Kuo of KGI Securities said numerous stylus-related patents filed by the Cupertino-based company (1, 2, 3, 4, 5, 6, etc.) and his own research lead him to believe the iPad maker will launch a stylus in the second quarter of this year to compliment the 12.9-inch so-called "iPad Pro." "Given that it's more precise than a person's fingers, a stylus can be more convenient to use than the combination of keyboard and mouse in some cases," Kuo wrote. "Therefore, we believe Apple's stylus will improve the user experience of 12.9-inch iPad." Kuo, who has a fairly reliable track record in predicting Apple's future product directions, did not cite any particular source for the rumor outside of Apple's own patent filings. This marks an unusual turn for the analyst known to have close ties to Apple's supply chain partners. Kuo believes that most users likely won't need a stylus initially, prompting Apple to launch the device as an optional add-on, rather than including it alongside the jumbo iPad. "Coupled with its unfavorable cost structure, high selling prices may turn consumers off if the 12.9-inch iPad is always bundled with it," he wrote. "We therefore expect the stylus to be an optional accessory before sufficient user feedback is received." Kuo does not expect the stylus to feature many bells and whistles, such as a built-in gyroscope or accelerometer, in its first year. He believes Apple will gradually add new features, and expects 3D handwriting to be enabled in future models. "The addition of a gyroscope accelerometer to a stylus allows users to write not only on the display, but also on other hard surfaces and even in the air," he wrote. "While this is a fantastic application for a stylus, we think the required software and hardware is not fully developed yet. 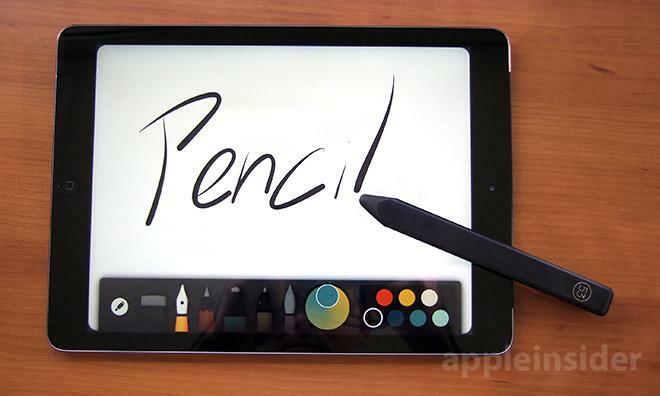 Hence, we don't expect Apple's stylus to support 3D handwriting in 2015." 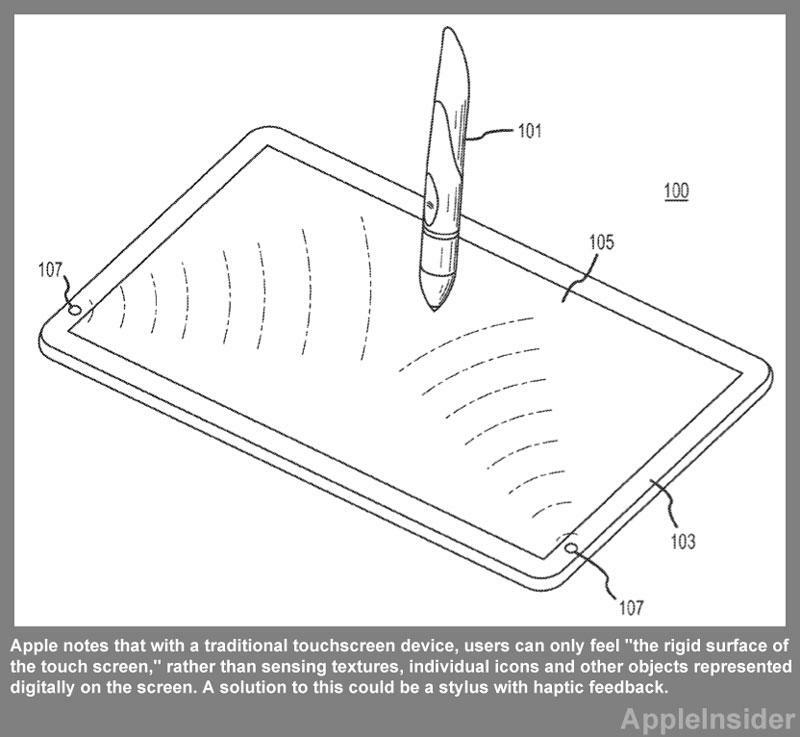 A filing from 2012 expressed Apple's interest in an iOS stylus with an optical sensor & haptic feedback. Similarly, Kuo said that while wireless charging would be convenient, he see little likelihood of it being implemented for the forthcoming stylus given the higher cost and difficult antenna design. "We expect charging to be via a Lightning connector," he added. 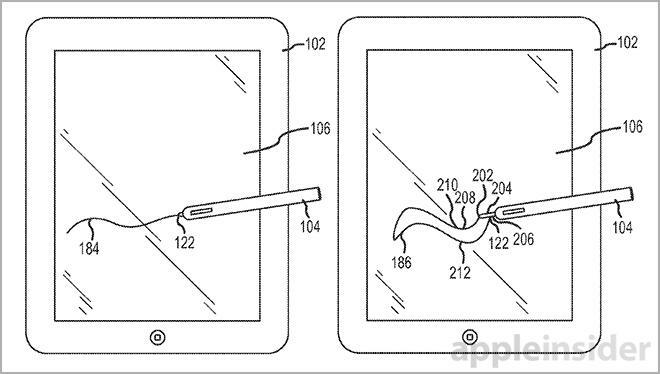 In all, Kuo believes the advent of an Apple-sanctioned stylus itself will facilitate only a limited boost to iPad shipments in the near term. However, the device could give birth to a new breed of applications, which may help offset any negative impact that may weigh on the tablet market from ongoing structural changes. "We don't foresee significant sales of an optional stylus in 2015 and forecast unit shipments of 2-2.5 million," he wrote. "But we believe that the stylus could improve the experience of users, however, and will likely help Apple develop specific customer groups such as the corporate sector and educational institutions." Aside from the size of the display, there have been relatively few leaks regarding the internal makeup of Apple's anticipated new tablet. One report from last Fall suggested that the device may ship with the then-unrevealed "A8X" chip, while a later missive indicated the addition of two new speakers and an additional microphone that "might" make the iPad Pro "capable of supporting stereo audio." Even the screen size is somewhat in doubt, with Apple also believed to be evaluating a 12.2-inch alternative. Kuo himself has previously predicted that the iPad Pro would also bring along with it a new flavor of iOS designed to take advantage of the larger display, which could include functionality such as split-screen multitasking.